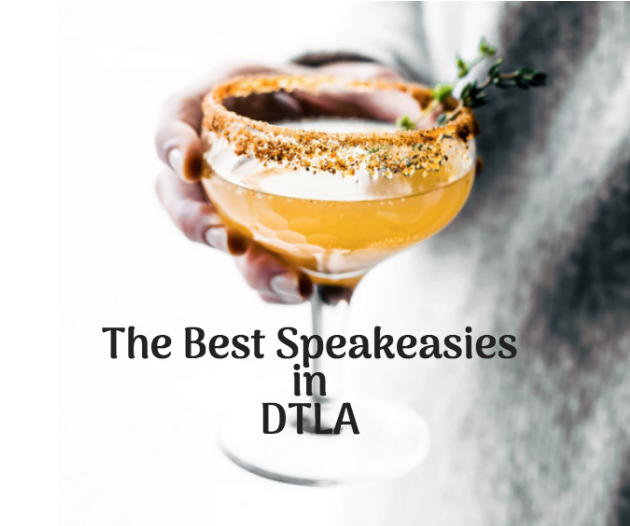 When looking for excellent cocktails with friends, one of the best places you can look is at a speakeasy. As these exciting venues begin to pop up all over the city, it might be easy to get overwhelmed with the options. Here are some possibilities of excellent speakeasies that are also known for their quality and craft cocktail and menu items. With a name like, “No Name,” this bar is quite the unique destination. Located in Fairfax, from the outside, the location doesn’t seem like much. There will be no sign outside and blacked out windows but on the inside? Inside you’ll enjoy velvet curtains, elaborate artwork, vintage chandeliers, impromptu musical performances and a signature rotating menu that is prized for their fried chicken. If you can get in, the bar is located at 432 N. Fairfax Ave. in LA. When you’re looking for classic cocktails, head to this location. Here, you can enjoy a mix of classic, handcrafted cocktails and some with a modern twist. The mixologists here take their time, and the cocktails aren’t rushed, which leaves you with nothing but one of the best cocktails you’ve ever tasted. There are also small bites to enjoy as well such as chicken sliders, tacos, charcuterie and more. Head over to 12223 W. Washington Blvd. in Culver City and try one today. At this dark, moody speakeasy, you’ll be greeted with leather stools, tarnished wooden tables, and soft candlelight. You’ll feel like you’ve stepped back into time, and with that comes cocktails crafted by some of the best mixologists that the city has to offer. If you can’t decide which drink you want, go for the Bartender’s Choice and see what the mixologist's crafts up just for you. The bar is located at 118 East 6th Street in DTLA.